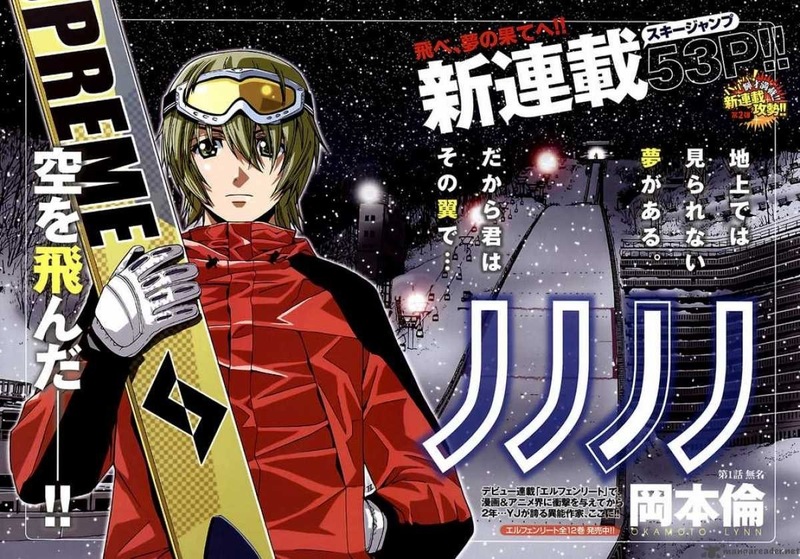 Nonomiya Yuuta, a Skii Jumper aiming for Olympic Gold, bursts onto stage with his exceptional skills. However, his biggest problem is that he is not really a “HE”… This Yuuta is actually Nonomiya Yuuta’s twin sister, Nonomiya Nono… And with Women’s Skii Jump not being an Olympic catagory, hiding her true identity is the only way for her to achieve the dreams of her father and brother. Once I started reading this manga I couldn’t stop. The story is very interesting and it kept me wanting more! Nononono is about Skii jumping, I always though that Skii jumping was an extreme sport but turns out it was an Olympic sport. The story taught me a lot about the sport. Also, Speaking of the manga story wise, it’s very dramatic. Every character is attached to the sport for a reason and a very deep story. There were things about Nonomyia that I wanted to know but they weren’t there. Which was kinda disappointing. The story also taught me a lot about determination. I’ve never read anything more interesting than this.